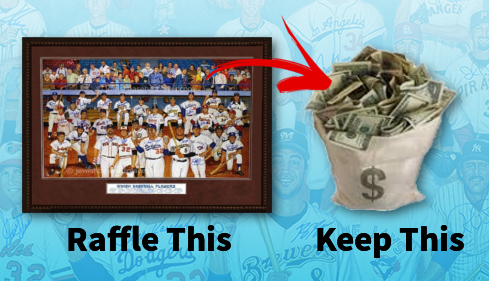 Your chapter will run a raffle for the Jewish Baseball Player artwork and experience package. We will provide everything you need to get started. You will have a custom webpage set-up just for you where parents and others can purchase raffle tickets. All you need to do is forward pre-made emails to friends and family.